The purpose of Y-Foundation is to support health care, elderly care, disabled care and other social care services in order to provide decent housing to people who are capable of normal or nearly normal independent living but who are facing difficulties in getting a home. 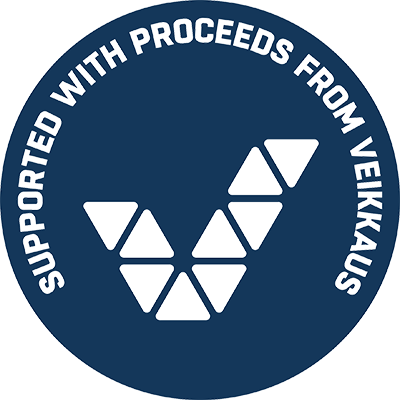 The name of the foundation is Y-Säätiö sr (Y-Foundation) and it is domiciled in the City of Helsinki. The foundation may also participate in improving the social and economic living conditions of the people referred to above, as well as support and commission research that mainly serves these purposes. To achieve its purpose, the foundation coordinates the purchase of rental housing, owns housing shares and real estate, obtains financing and land, and, where appropriate, constructs and maintains buildings owned or controlled by it. The foundation provides and develops separate recreational and other services for people referred to in Article 2, seeking to improve their social and economic conditions of life, primarily through the acquisition of premises and through financial support. The basic capital of the foundation is twenty thousand one hundred eighty-two euros and fifty-five cents (EUR 20,182.55). The foundation can accept donations, wills and grants, and may also acquire assets in other lawful ways. The assets thus obtained can be placed in trusts. In addition, the foundation may have other funds, the management of which is subject to what the Board of Trustees separately decrees within the limits of these by-laws. The foundation seeks to achieve its social goals by providing affordable housing and arranging the funding for the housing in such a way that rents will match the financial capabilities of the tenants. Insofar as they are not used immediately for achieving the purposes of the foundation, the foundation’s assets must be invested in a profitable manner in accordance with an investment plan approved by the Board of Trustees. The governing bodies of the foundation are the Annual Meeting, the Board of Trustees and the Managing Director. The Board of Trustees is responsible for the foundation’s governance and for organising the activities of the foundation so as to achieve the purpose of the foundation. The Board of Trustees is responsible for the oversight of the foundation’s accounting and asset management. decides on changes to the by-laws, mergers and dissolution of the foundation. The Board of Trustees shall manage the foundation’s affairs in accordance with the law and the by-laws of the foundation. The Board of Trustees represents the foundation. The Board of Trustees has seven (7) members. The term of office of the Board of Trustees begins at the end of the Annual Meeting that elected it. More than half of the members of the Board of Trustees represent other than public bodies. The members of the Board of Trustees are elected for a term of two years at a time. The maximum total term of membership in the Board is 12 years. The Board of Trustees elects a chairman and deputy chairman from among its members for a term of one year at a time. The Board of Trustees may set up advisory committees and working committees to help it in the preparation of matters and for managing current affairs. The Board of Trustees convenes when a meeting is called by the chairman or, if the chairman is indisposed, by the deputy chairman. The notice of meeting must be sent in writing to the Board members no later than seven (7) days before the meeting. The Board has a quorum when the chairman or deputy chairman, and at least half of the other members, are present. Matters are decided by a simple majority vote. In case of a tie, a vote is decided by lot, but in other matters, the opinion of the chairman of the meeting is decisive. Minutes shall be drawn up for Board meetings, with decisions and votes recorded. The minutes shall be signed by the chairman of the meeting and at least one member elected by the Board. The foundation has one (1) auditor and one (1) deputy auditor. A deputy auditor, however, must not be selected if the auditor is an audit firm as referred to in the Auditing Act. The foundation’s accounts are drawn up and the financial statements made on a calendar year basis. The previous year’s financial statements must be completed within four (4) months of the end of the financial year, at which time the foundation’s accounting books with supporting documents and other necessary documents must be submitted to the auditors at the latest. The founding members meet for an Annual Meeting within six months of the end of the financial year. The Board of Trustees elects and dismisses the Managing Director. The Managing Director oversees the achievement of the purpose of the foundation and manages the day-to-day running and administration of the foundation in accordance with instructions and orders issued by the Board of Trustees. The foundation is represented by the Managing Director alone or by the chairman of the Board together with a member of the Board or by persons authorised by the Board. Members of the Board can be paid a reasonable meeting fee and expenses. In addition to the meeting fees, a reasonable annual fee may be paid to the chairman and deputy chairman of the Board for the work done for the foundation. Each year, six (6) months after the end of the financial year, certified copies of the financial statements, the annual report and auditor’s report must be submitted to the Finnish Patents and Registration Office. Any change of members of the Board of Trustees, the Managing Director or signing officers shall be reported without delay to the Foundations Register of the Finnish Patents and Registration Office. A majority of the members of the Board is required to decide on changing these by-laws or dissolving the foundation. In addition, the changes to the by-laws must be approved by the Annual Meeting. To become effective, the decision by the Annual Meeting must be made with at least 3/4 of the attending founding members in favour of the decision. If the foundation is dissolved, the remaining assets of the foundation will be transferred in equal portions to the Finnish Red Cross, the Finnish Church Council and the Finnish Association for Mental Health to be used primarily for purposes matching those of the foundation. The founding members mentioned in Article 12 are the Association of Finnish Local and Regional Authorities, the City of Espoo, the City of Helsinki, the City of Tampere, the City of Turku, the City of Vantaa, the Church Council, the Finnish Construction Trade Union, the Finnish Association for Mental Health, the Finnish Red Cross and the Confederation of Finnish Construction Industries RT. Processed by Y-Foundation delegation on 25 November 2015. Approved by Y-Foundation Board of Trustees on 3 March 2016.